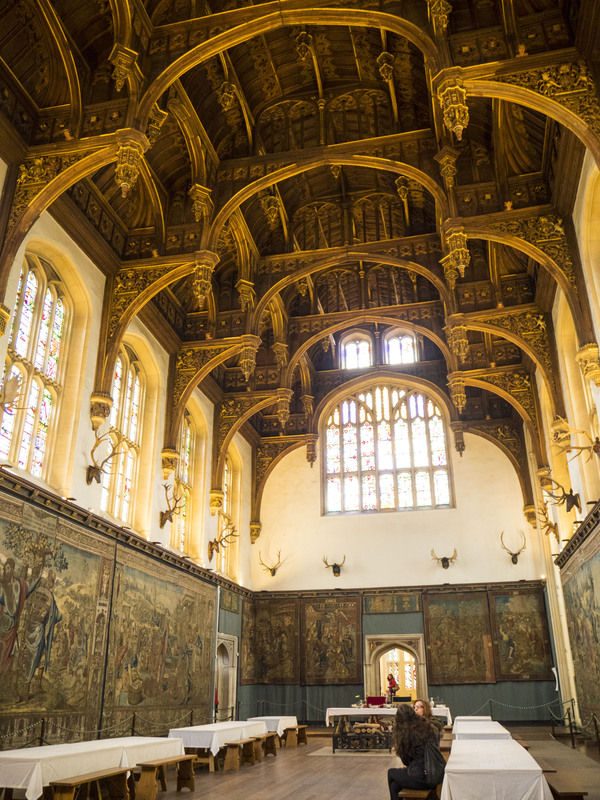 Hampton Court Palace… you quite literally can spend the day there. The evening before Tracy and I met up with her husband Bill for dinner and drinks before we called it a night. I woke up chomping at the bit to go see Hampton Court Palace. Located only a mile away from where Tracy lives, I was not going to pass up the opportunity to see this Historic Palace. 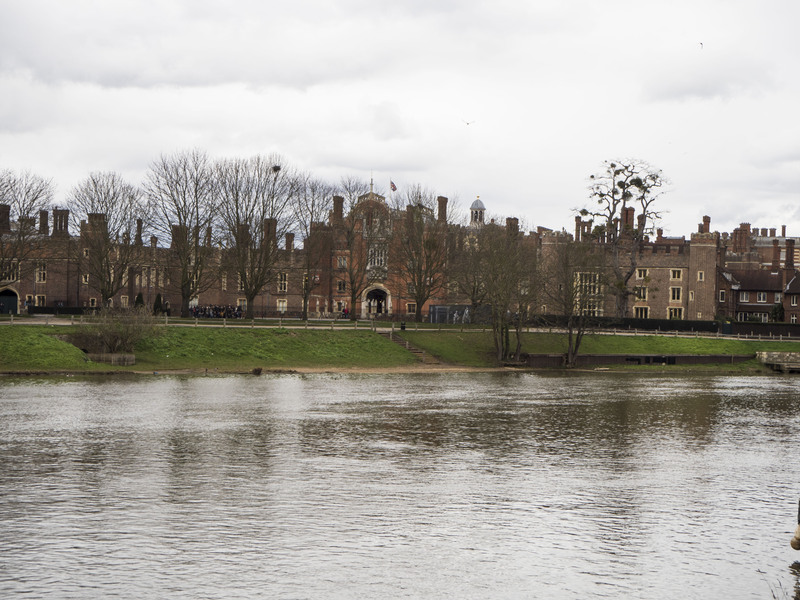 Hampton Court is20-minute train ride from the center of London, so if you’re staying there it’s worth the day trip. The Palace is then a block away from the train station, just over the bridge, that crosses the Thames. Most of us are familiar with the story of King Henry the VIII because of his many wives and the change of religion in England. 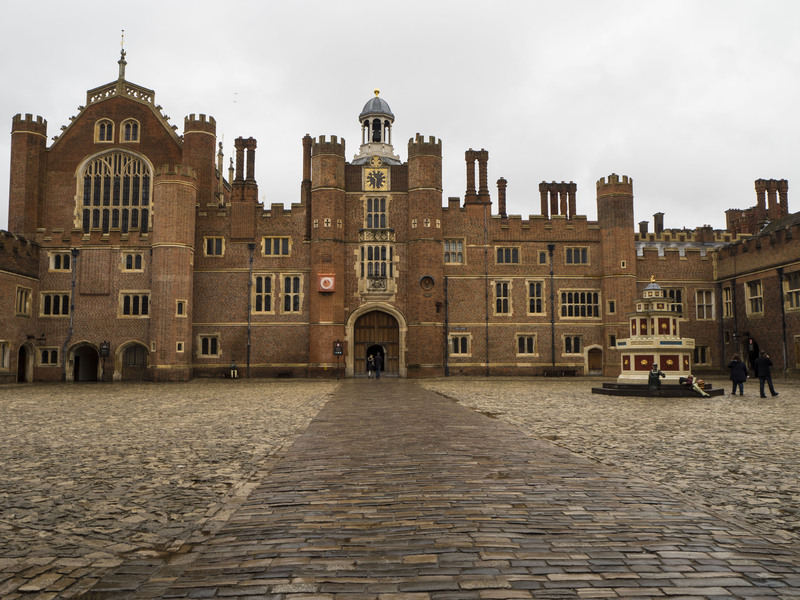 Hampton Court Palace is one of his most famous residences. The original building was a medieval manor built by Lord Chamberlain in 1494. 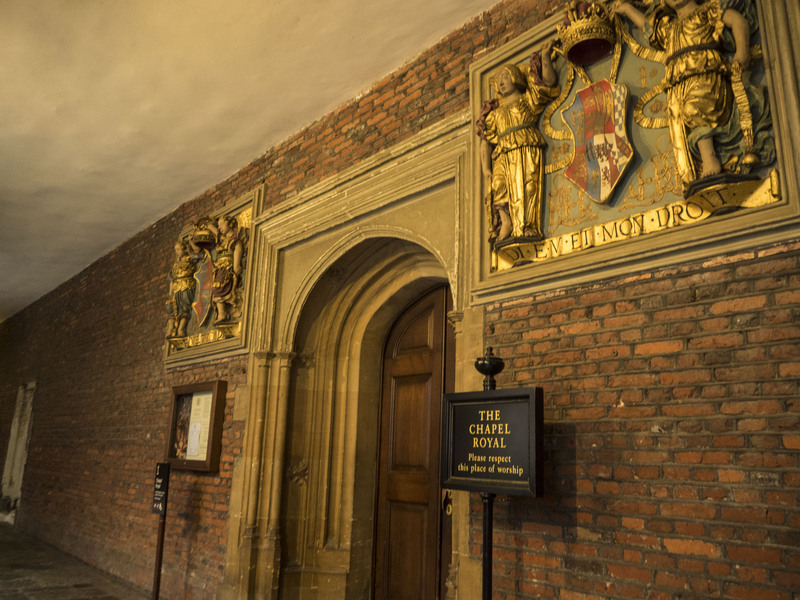 In 1515 Cardinal Wolsey took over the property and began to transform it into the spectacular palace that it is today. 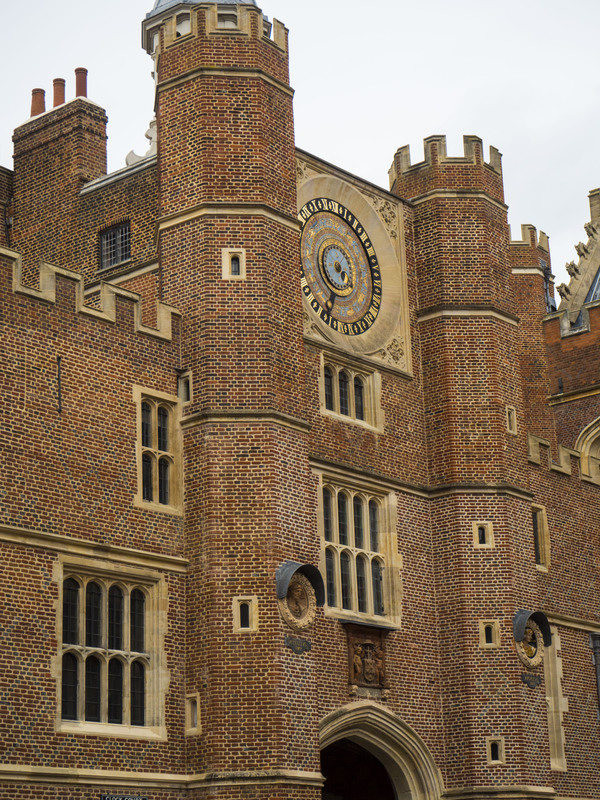 Henry the VIII, having seen its opulence and Wolsey fearing the King’s wrath, since Henry was not granted a divorce from Queen Katherine from the papacy, gave it to the King as a gift as well as York palace in London. Over the years Henry expanded on the palace adding personal elements throughout according to his or his current Queen’s whims. When I tell you that you could spend the entire day at Hampton Court, I would not be exaggerating. There is a lot to see and with a free audio guide, included in the admission price, you are able to explore the palace and have a personal guide the entire time. There are several tours you can take from Henry the VIII as a boy through his reign as Monarch of England. Since I was there on a Wednesday it seemed like there were school groups on tours every turn I made. Typically I would cringe at the idea of having to share the space I was in with shouting, rowdy 8 and 9-year-olds, however, it gave the palace a life that was closer to what the space felt like during its heyday. Several times I found myself pausing my audio guide to sit and listen to the costumed guides interacting and teaching the school children in their navy uniforms. Seeing a form of cosplay in its intended setting is magical and tends to ingrain what you learned. 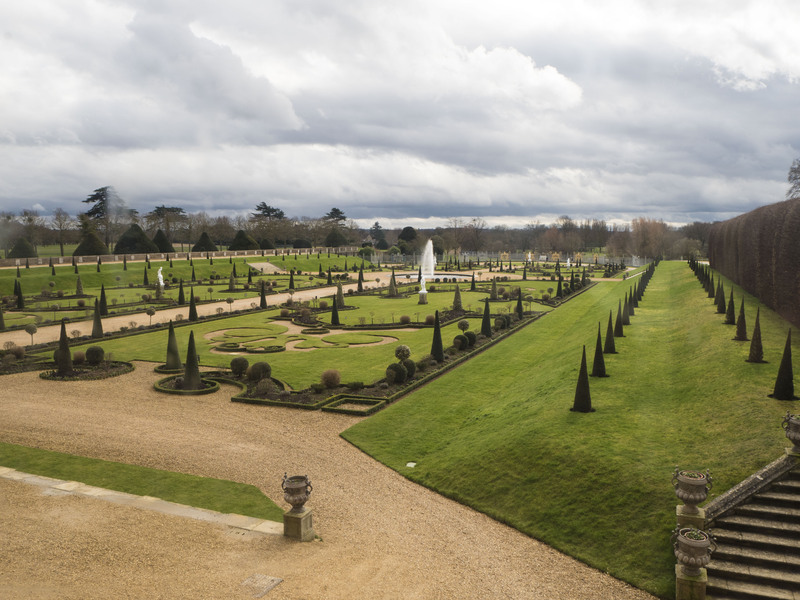 It was, for the most part, a fairly overcast day, but that didn’t deter visitors from taking advantage of the palace gardens, which are spectacular. 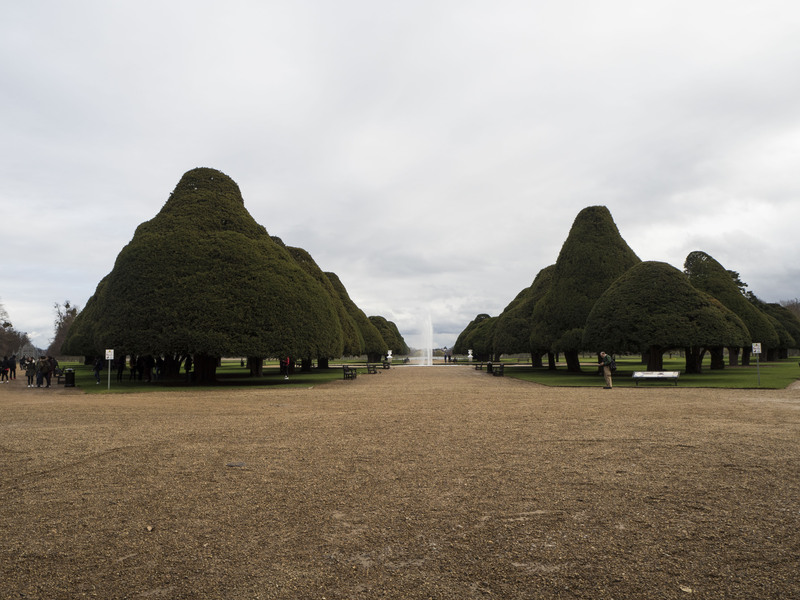 Before I visit the palace I found a YouTube video called Hampton Court Palace Gardens: A Year in the Life, which showed the undertaking of the grounds staff at the palace during the change of seasons. It is so much more vast than what you can see from the palace and you could take the majority of a day and not see all of it. There was one section that I was told about and wanted to explore, the Baroque wing. Unfortunately, that section was closed for repairs. However, there are very few sections of the Palace that are unavailable to explore. I particularly love the section leading to the kitchens. It looked like its own contained village. 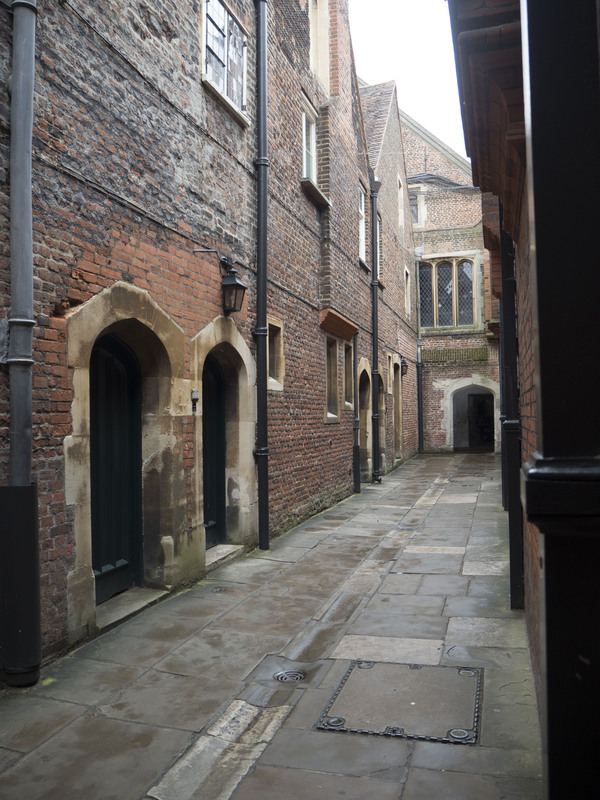 Doors lined the alley, leading to apartments, which were probably housing for the kitchen staff but perfectly fit the rest of the palace. For years I have studied art and history and it never fails that when I see the works or am able to walk the halls that history just comes alive for me. Even though I will never fully understand what it was like to live in those times or the undertaking it was to erect such a massive structures with the tools available, I always find wonder in what I see, knowing what little I know. There is a beauty in the past and elegance that we sometimes forget. Don’t get me wrong, I know it wasn’t all good, yet despite all of the hardships, there is always beauty to be found. 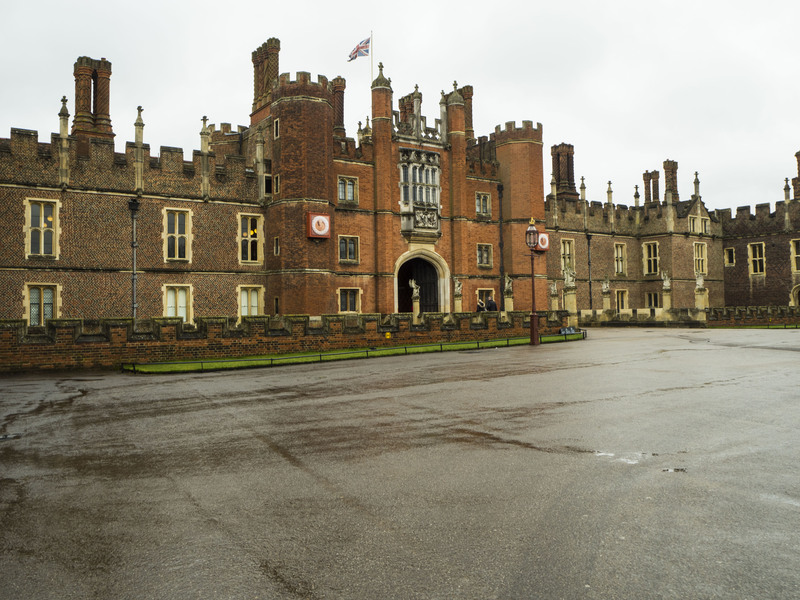 Some tips for exploring Hampton Court. 1.) The majority of what you’ll see is inside so it’s the perfect place to visit rain or shine. 2.) If you want to explore the gardens you can actually do so for free. It’s the palace that costs money to visit. 3.) Entrance fees are £23 per person but if you get a membership to the Historic Palaces, it costs £50 per person and includes 5 other palaces. It is good for the year so if you find that you’ll be visiting London more than once a year, it’s a good value. 4.) Get the audio guide. It’s free and you’ll learn so much more than just exploring on your own. Also, it’s interactive so you can skip sections or go in order depending on your mood. 5.) Bring your own lunch and eat it in the gardens! Your bags don’t get checked so bring food and drink. I had lunch at the palace and the food was good just expensive. 6.) Take your time and talk to the staff. There are not only paid docents, who look like Beefeaters but volunteer guides. They are fonts of information. 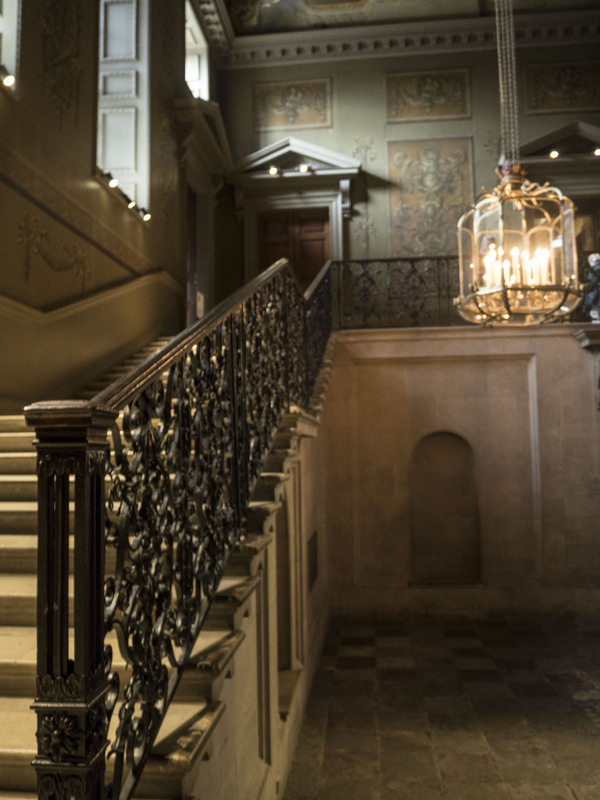 Any chance I got I spoke to one of them, they can tell you the best ways to view Hampton Court, what the must-see sections are and secrets they’ve gleaned over the years from working with the brilliant curatorial staff. Do you have any tips? Share them in the comments! Until next time!